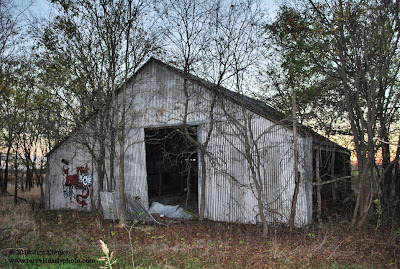 This barn was a little scary. It was starting to get dark and there were a lot of trees, brush and noises. I got out, got a picture or two and got back in the car. Visit Bluff Area Daily for more barns. I think I finally have kicked the cold that has been doggin me since Thanksgiving. I was able to get out and run a little last night. The next race is the 18th in Canton, Tx on the First Monday grounds. Pictures from Saturdays football game have been added to Facebook and ihigh.com. If you are a coach, register on ihigh and start sharing content for your sport.